Pokemon: Safari : Hello, what is new today? Pokemon: Safari is a slightly different Pokemon game, which is made from Pokemon Emerald. This game is a gift for you from seeker. Pokemon Epic Emerald is a customized hack based Pokemon Emerald we usually see. 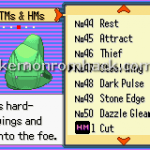 It is a relatively simple hack of the beloved Emerald Version that came out in Gen 3. This hack contains move edits, pokemon edits, pokedex edits. Pokemon Eternal Elbait is an interesting Pokemon Emerald hack which contains many new improvements compared to the old origin. 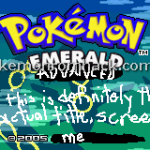 Slightly Modified Emerald is an advance hack of Pokemon Emerald. I can see that this game is worth playing. This is an attempt at a journey through the Hoenn region with a custom (not listed in-game) Pokedex. Pokemon The Abandon Riolu : By modifying, editing, adjusting… or whatever he does, the author of this hack has transformed the best things of Pokemon Emerald into a hack of his own: Pokemon The Abandon Riolu. Good work! 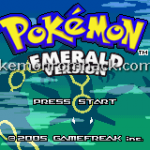 Pokemon Double Emerald is a worthy and must-try Pokemon fan game from Pokemon Emerald. You will like it. Another game is from Hackachu. The game is pretty much exactly what it sounds like – all Pokemon have been doubled in level. Pokemon CAOS : It has been a very long time since we last saw a good hack of Pokemon Emerald. 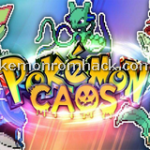 And now, it is coming back under a new name: Pokemon CAOS. Nice game!